A few more noteworthy announcements for Kansas City. 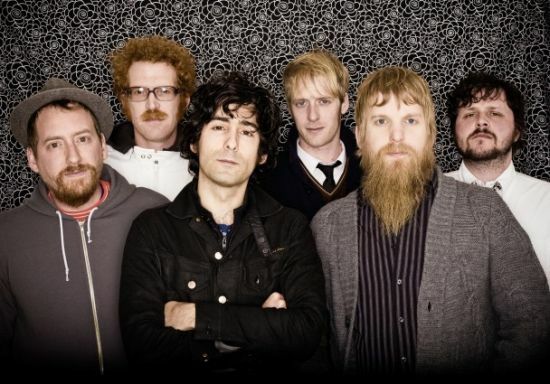 JoC favorites Blitzen Trapper will be at the Record Bar on June 22nd. They'll be touring in support of their new album, Destroyer of the Void, which is released on June 8th. Levon Helm, who is most famous for being the drummer for one of the greatest music acts of all time, The Band, will be at The Crossroads in KC on July 5th. Finally, a new favorite band of mine will also be making their way to KC. Future Islands are a Baltimore based band that came out of the Wham City collective with Dan Deacon. Their new album, In Evening Air (out May 4th), is already one of my favorite albums of the year. I try not to write about stuff until it's officially released, so look for a post on that album in a couple of months. Future Islands will be at the Pistol Club in the west bottoms of KC on June 2nd. Here's one of the tracks off In Evening Air...the track is called 'Tin Man' and sounds sort of like Tom Waits fronting a synth-pop band. Brilliant.